How to Become | Janbaz ! 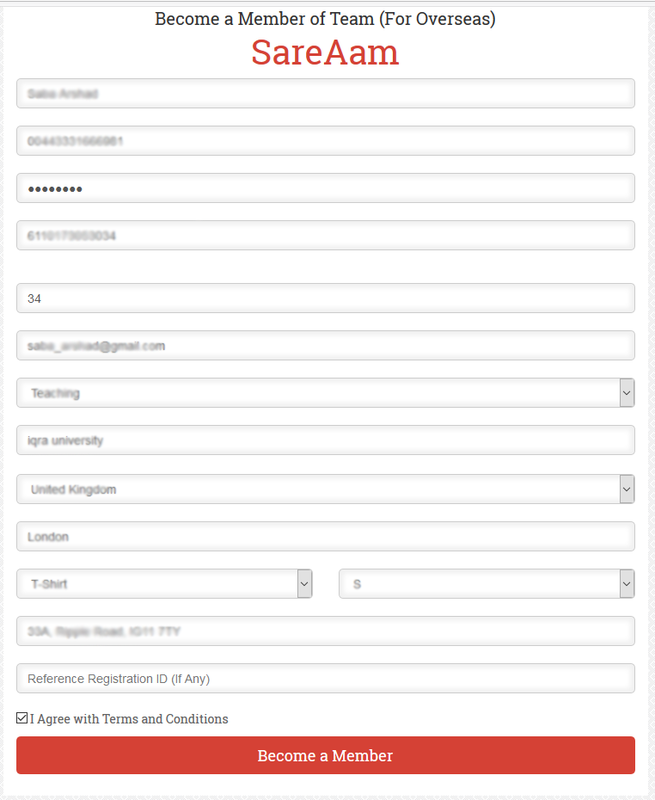 - A Form will appear with Label: Become a Member of Team SareAam. 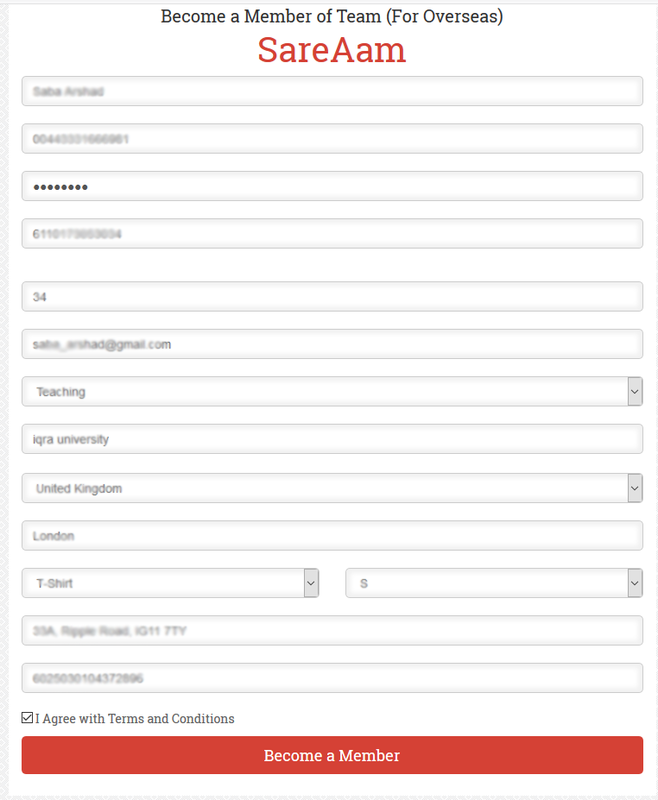 All Fields are highlighted with relevant help / tips to fill the form. - For Campaign/ Events 16 Digit Card Reference Number can be entered. - You need to agree the terms and conditions. You will receive SMS: Team Sar e Aam mai khushamdeed agar aap member banna chahte hain to SAYes likh kar 8875 per reply kare. Shukriya. Case: Reference Number is entered of existing Janbaz/Referral Program. 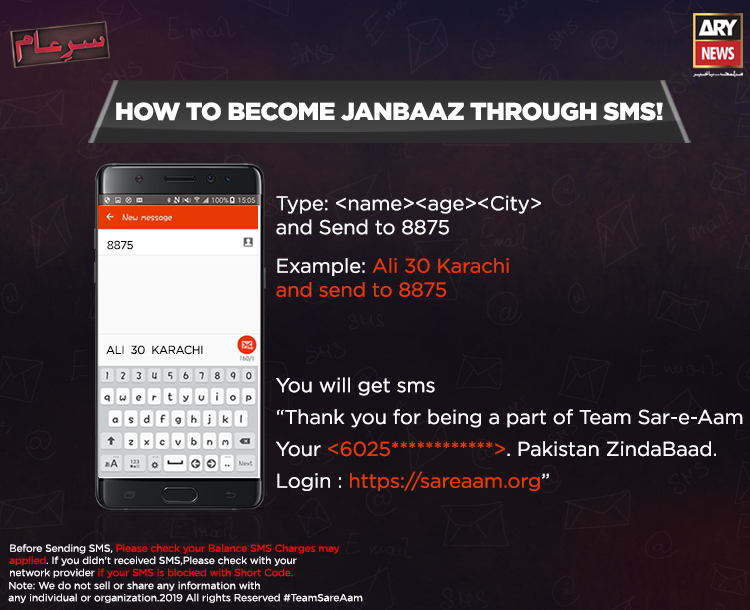 You will receive SMS: Welcome to team SareAam. 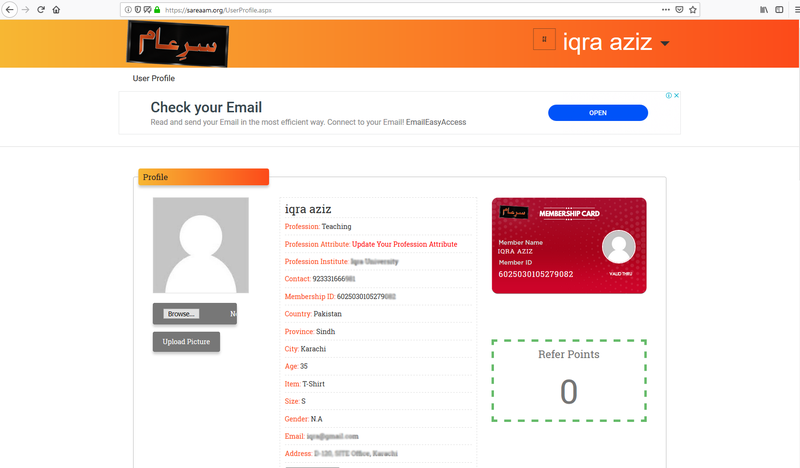 Hunayn TM ne apki membership k liye apply kia hai, agar ye baat aap k ilm mai hain to confirmation k liye is sms per SAYes likh kar 8875 per reply karen. Case: Reference Number is entered of existing Janbaz Membership already part of the Program. Note: Enter OTP Received On Email Address. Check Spam Folder Also.